Today, in the tenth (I know, how did we get to ten already!) 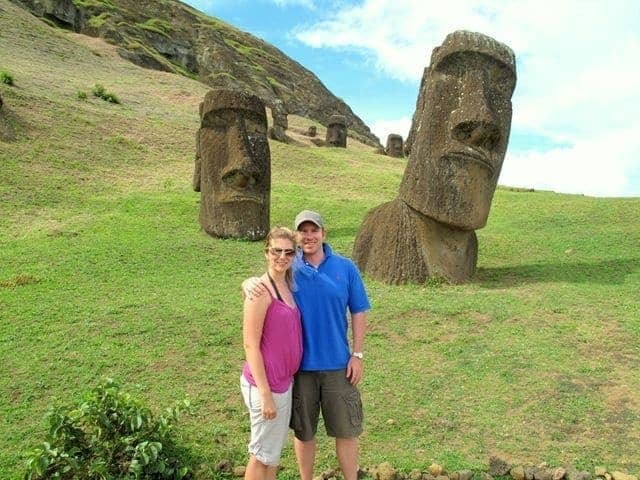 post in the series where I probe the minds of experienced and knowledgeable travel bloggers for their travel blogging tips, I am delighted to be interviewing Cam and Nicole, better known as the Traveling Canucks. Hailing, as you can probably tell by the name, from Canada, Cam and Nicole spent a year travelling round the world between 2009 and 2010. 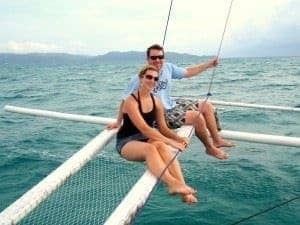 Unlike many of the other travel bloggers who have featured, Cam and Nicole have no desire to live as digital nomads. They aim to prove that it is possible to travel the globe and still have a home base and career. Their site shares their travel stories and tips, as well as stories and notes from other travellers on the road. Lets see what they have to say! 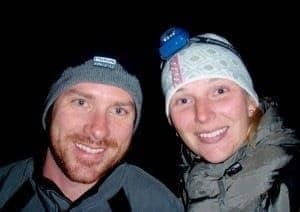 Like most travel blogs, ours initially started out as an online journal for family and friends while we were on an extended trip around the world. We wanted an online space to share stories and photos from our adventures so we signed up for a simple, free blog service. As the blog grew with content, we realized that it was being read by a much wider audience than originally intended. We started receiving lots of questions about specific locations, like “what is the best way to get from X to Y” or “is the Middle East safe for travel”? We realized the blog was actually inspiring people and helping people plan their next big adventure. It was a humbling realization that people actually wanted to learn from our experiences. This, in turn, inspired us to create “Traveling Canucks” so that we could learn how to build our own website, use social media and create an online environment to share our travel experiences. For us, the feedback that we get in the form of emails and comments on posts is the most gratifying. Our goal was never to monetize the website, but as our numbers continue to grow we have gradually accepted offers and shifted our focus. The Internet presents endless business opportunities, so learning about online marketing tactics and social media has been the greatest take away from building the blog. Our primary goal was to learn to build a website and attract a decent number of readers, which we feel we have accomplished. It would be nice if we could turn the blog into a money-making machine while still maintaining its integrity and personal vibe, but that’s a tall order. I think our biggest aspiration is to increase readership while continuing to learn about the internet and how to use it effectively. It’s a time consuming hobby but we’ve had a lot of fun and met a lot of interesting, like-minded people along the way. There are so many measuring sticks in the online world that it actually makes my head spin. Although quality content and interesting topics is our primary focus, I’d be lying if I said that we didn’t watch our numbers. We track our alexa ranking and basic analytics such as unique visitors, time on site and lead sources. I like to see the impact of posts to learn what’s working and what isn’t. Though I do check our basic metrics daily, I don’t obsess over them. In fact, I spend more time analysing my several fantasy hockey teams! Without question, the hardest thing about running a travel blog is finding enough hours in the day. We’ve been able to grow the blog by being active in the travel blog community but this is quite time consuming. Finding a balance is critical. If we spend too much time on the social media side we find that our website activity drops. Finding content and photos is not an issue for us; the challenge is finding the time to put it all together. We aren’t all lucky enough to be travelling all the time. How do you keep your site fresh when not on the road? 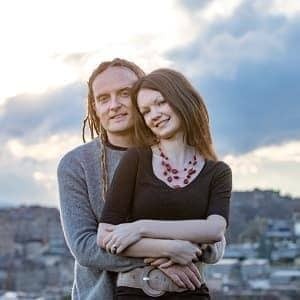 We developed our website after returning from a year on the road. During this time, we collected thousands of photos and feel fortunate to be able to say that content has never been an issue for us. We simply share the timeless stories and adventures from our previous travel experiences. We try to travel every few months but sometimes it’s just not realistic with our jobs and commitments. That said, it helps that we live in the mecca of outdoor adventure – British Columbia, Canada. We try to get out of the city every other weekend, which creates fresh stories and adventures that are more current. writing your blog, what would it have been? This is an easy one – I would have started with a self-hosted website rather than using a free blog service. Although there was a much greater learning curve, I wish I had invested the time and energy right from the start. At the time, we did not have a long term vision for the blog, so free sounded great. But, as is true with most things in life, you get what you pay for. How do you generate an income from your blog? We have found the most success from text link advertising and sponsored posts. We’ve dabbled with affiliate marketing and Google ads but have found them to be a big waste of time and space, with little payout. We are not professional bloggers, and although the blog does make money, it will never replace the income that we’ve come to expect from our careers. What’s more important to us is leveraging the success of the blog to get complimentary travel related items. We love to travel, so our preference is to exchange services rather than promote a company for money. This has allowed us to get free hotels, airfare, ski passes, spa treatments, adventure tours, etc. Dollar for dollar, we get much more out of service exchanges than charging for advertisements. What key advice would you give to others looking to make money with their blog? My biggest advice would be to follow your gut and go for it. If a sponsor or advertiser approaches you and offers you money, give it shot. You have to learn to walk before you run, so start out with a few and see how it goes. I hear a lot of bloggers talking about not accepting text link ads or banner ads because they want to keep the blog clean and commercial free. That’s totally fine if that’s your goal for the blog. But if you want to make money, you will inevitably have to include some ads. The reality is that your readers are exposed to advertisements every day and typically don’t even acknowledge them, nor would they put up a fuss if a few links are outbound to commercial websites. Just be sure to limit the amount of ads and be selective with the keywords so that it flows with your content. Another word of advice is to ask for payment prior to publishing, or at the very least set a 48-hour payment window. It can be very frustrating to chase advertisers after the post or ads have gone live. Finally, you must understand that it will take time. You need to build a solid foundation with consistent traffic before advertisers will see the value of working with you. Be patient, it won’t happen overnight but if you keep your focus on increasing traffic and followers, it will come. We use social media to promote the travel blog. Twitter and Facebook have been great for finding repeat visitors. Stumble Upon is great for sending new traffic but the bounce rate is much higher and often times these visitors do not return (at least not often enough to measure). We also try to comment often and write guest posts for other bloggers that we respect. It’s only going to get bigger and bigger. Travel has never been easier and more people are working remotely than ever before. Building and promoting blogs has become very user friendly (hey, if we can do it, so can anyone). When we’re on the road, I would guess that 50% of the travelers we meet have a travel blog. It’s been fascinating to watch the Internet change our world and the way we explore it. The most important thing to consider is your audience. Are you targeting budget backpackers? Family travel? Vacation travel? Luxury travel? Once you determine who your audience is, produce interesting content that they want to read. Without interesting content, you can be the best marketer in the world but people won’t return. Engage your readers and communicate with them. If someone leaves a comment, take the time to reply. Get active. Make mistakes. Find a few established bloggers that you respect and reach out to them. The travel blog community is very supportive and willing to help, you just need to ask. Most of all – have fun with it. As always, tremendous thanks to Cam and Nicole for taking the time to answer my questions. You can find out more about the Traveling Canucks on their website, plus you can keep track of their adventures on both twitter and facebook. Thanks, these are very useful tips for travel bloggers. I’d like to mention a couple (crediting Travel Canucks, of course) at the Pacific NW Travel Writers Conference in May — http://www.travelandwords.com . Is that okay with you? 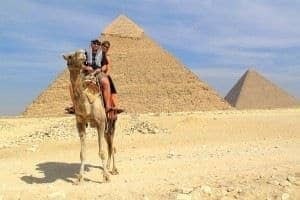 My own travel blog is http://www.lightheartedtravel.wordpress.com. No worries 🙂 Thanks for answering my questions so wonderfully!